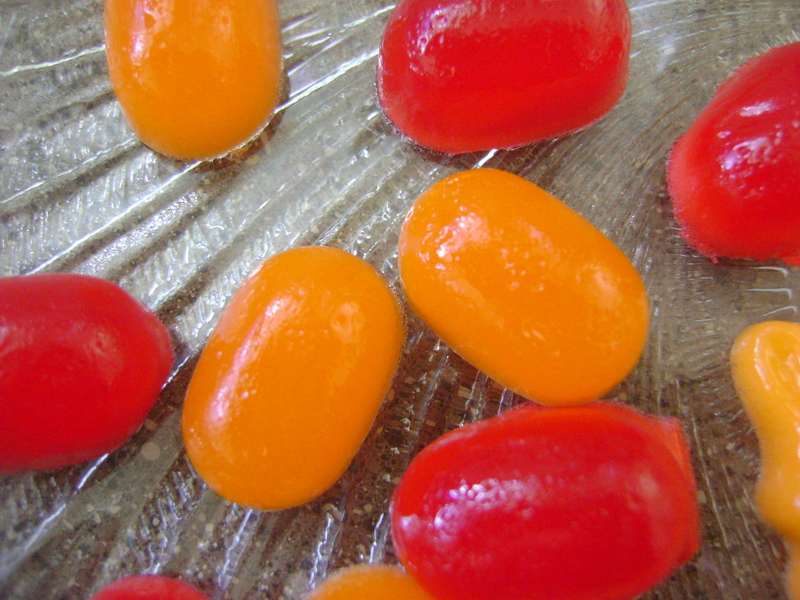 You are going to love these cute little gummies. 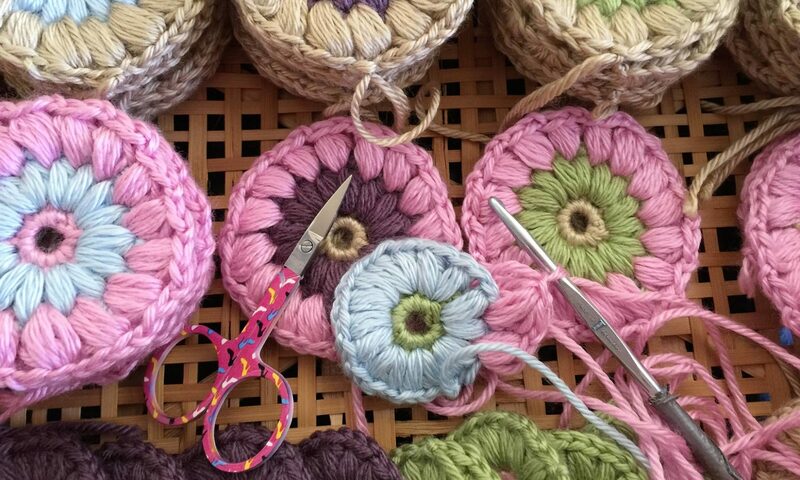 I was amazed at how easy they were to make. 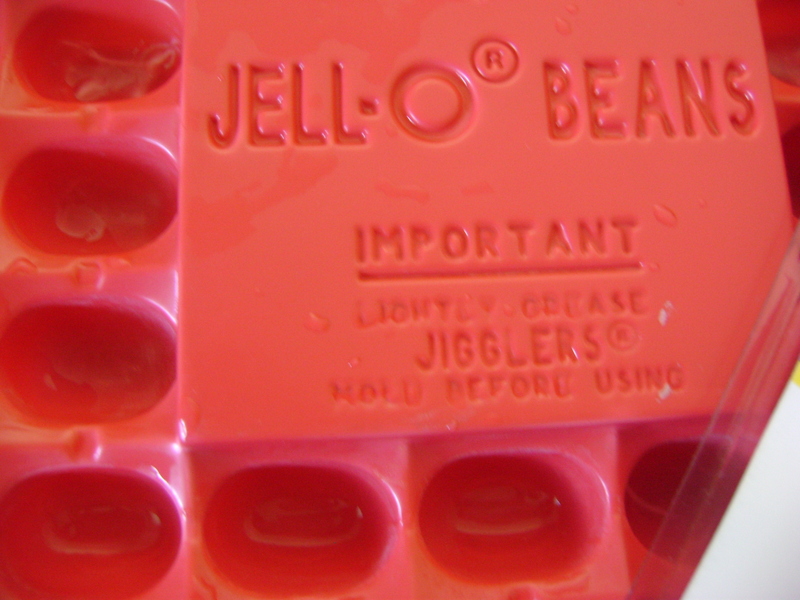 You can use your favorite flavor of Jello or even make them two flavors at once–by filling the molds half full, letting them harden and filling them the rest of the way with a second flavor. If you don’t have small candy or chocolate molds you can use ice cube trays or mini muffin tins. 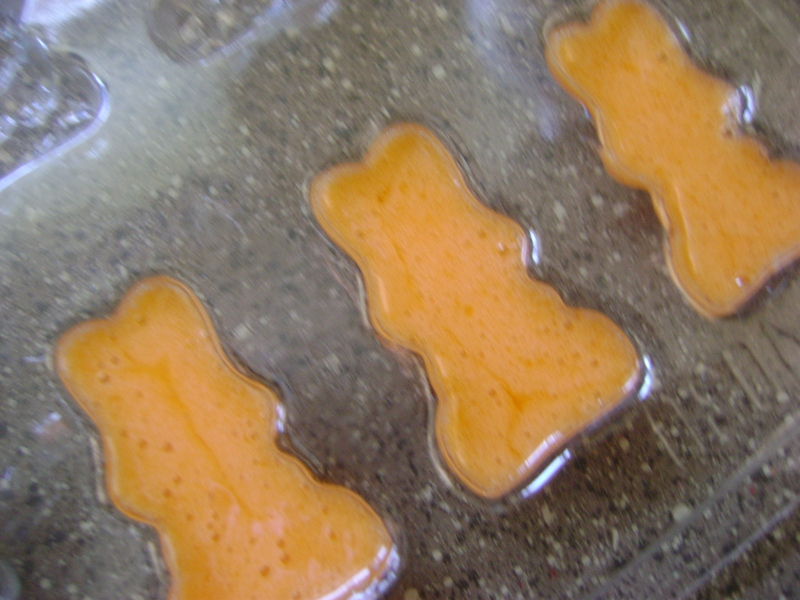 You can even pour the gummies out onto a cookie sheet and cut them with cookie cutters. 1. Spray candy molds or pans with nonstick cooking spray. 2. Combine unflavored gelatin, flavored gelatin, and cold water in a small pyrex 2 cup measuring cup. Stir with a small whisk or rubber spatula until well mixed. Cover with plastic wrap and let mixture rest for 10 minutes. 3. Set cup in pan of hot water and cook over medium heat. 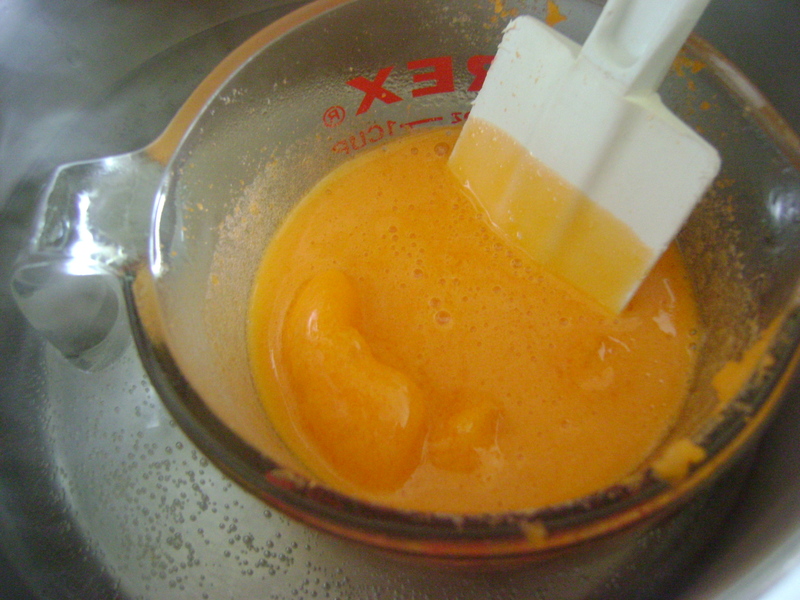 Continue stirring while mixture melts and becomes liquid. 4. Once mixture is fully liquid and pretty much clear, remove it from the heat and pour into your molds. 5. Allow it to set and cool slightly, then place in freezer for 10 minutes to solidify. 6. Once solid, remove from molds, and gobble them up! 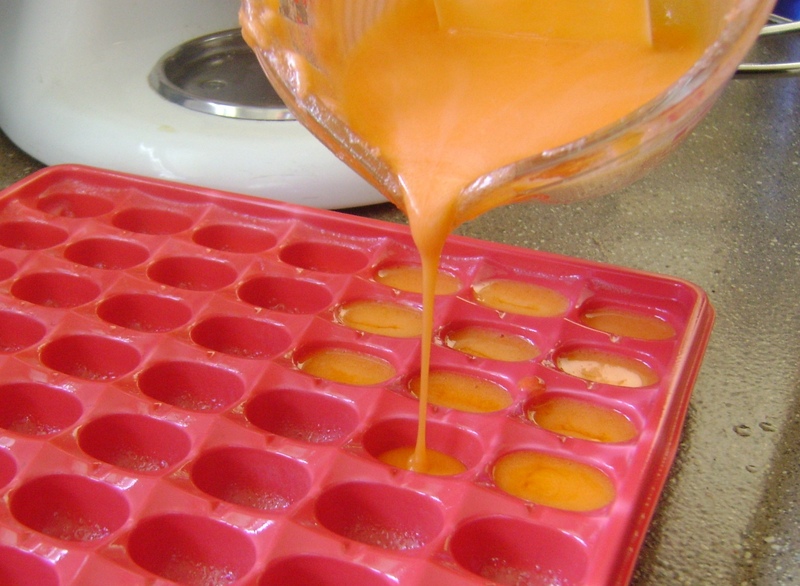 Spray candy molds or pans with nonstick cooking spray. 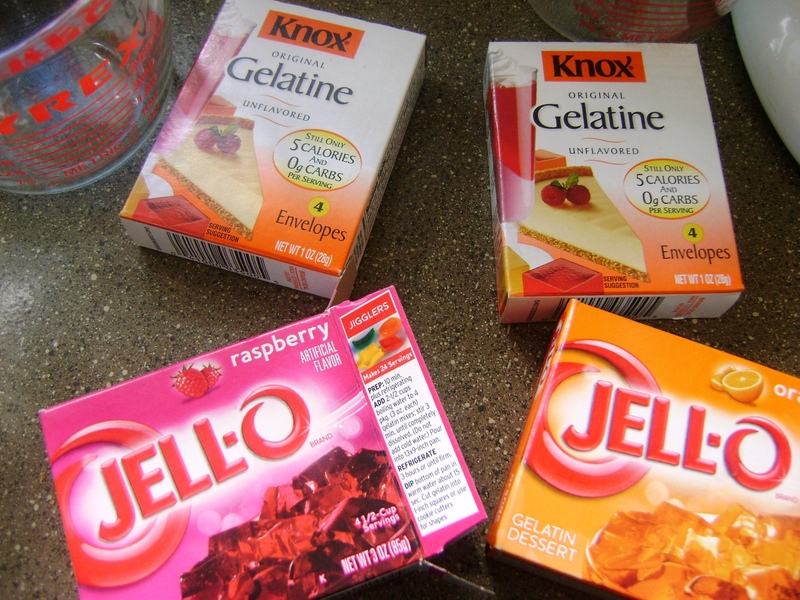 Combine unflavored gelatin, flavored gelatin, and cold water in a small Pyrex 2 cup measuring cup. Stir with a small whisk or rubber spatula until well mixed. Cover with plastic wrap and let mixture rest for 10 minutes. Set cup in pan of hot water and cook over medium heat. 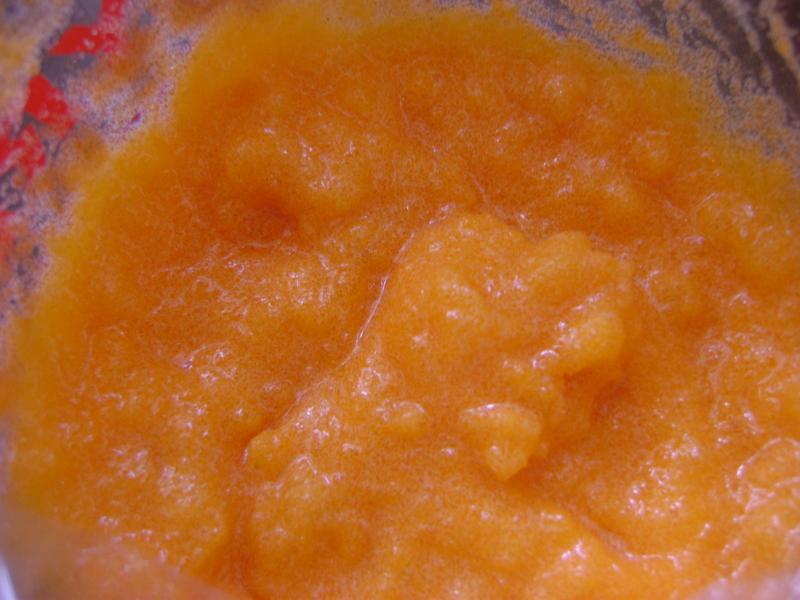 Continue stirring while mixture melts and becomes liquid. Once mixture is fully liquid and pretty much clear, remove it from the heat and pour into your molds. Allow it to set and cool slightly, then place in freezer for 10 minutes to solidify. Once solid, remove from molds, and gobble them up! You, my friend, are simply amazing! Is there anything you don’t do? Where did you find such cute molds? Sorry, I should have announced myself. :] They were fun. I need to get more colors because I only had orange and red. So it is likely we’ll do more. These turned out great! 🙂 I’m going to look at chocolate molds different from now on!!! What a fun project! yUUUm! 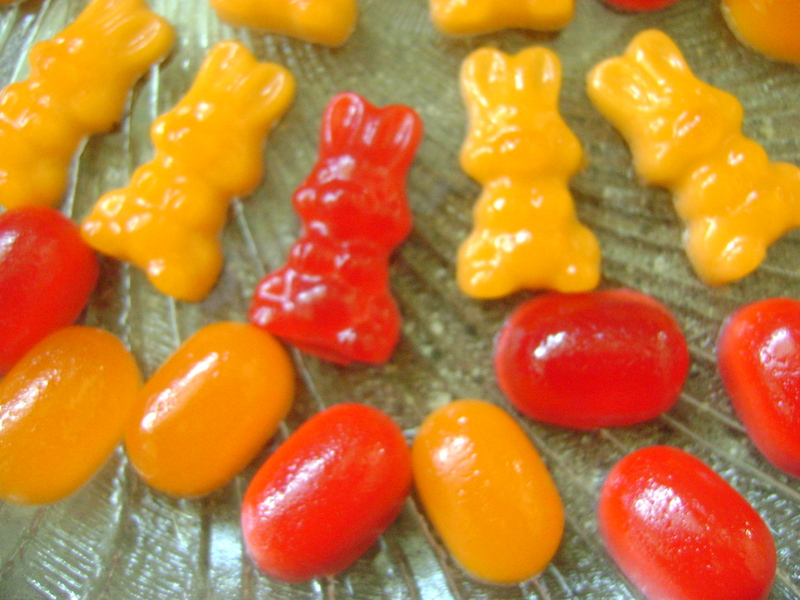 The bunnies came from JoAnn’s and the Jello Beans were just in the grocery store a few years back–you know, “Get one free if you buy 800 boxes of Jello…” which of course, is no problem for us. ha ha. The main thing was that I wanted them to be small, so these were perfect. The bunnies are chocolate molds. I know…just think of the possibilities! Gummy suckers…gummy temples…gummy nativity sets. This looks like so much fun. I wanted to let you know your Easter Swap package is in the mail. I hope it gets to you soon. Oh My they look good! Thanks for sharing!